Neuromas are growths or tumors of nerve tissue, which oftentimes are benign and can be painful. At Cherrywood Foot Care, we specialize in a therapeutic procedure to treat these growths, called neurolysis. This treatment does not require surgery. Rather, the problematic nerve is dissolved chemically via seven weekly injections of ethanol mixed with a local anesthetic. Because nerve tissue has an affinity for ethanol, it absorbs the substance, which, after repeated exposure, becomes toxic enough to disintegrate the pain-causing nerve. Neurolysis has a success rate of more than 60 percent. 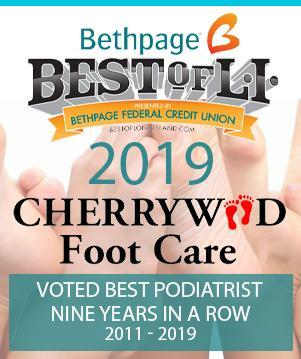 Check with Cherrywood Foot Care‘s team of foot experts to find out whether your insurance carrier covers this important treatment therapy.